Shin Hye Sun keep fighting ! Oh.. I just can't get enough of baseball pics. Have a happy Valentine's day everyone !! I was wondering what exactly is SHS’s height? It would be great to see her opposite L seeing he seems shorter than her. Their height difference would be love if they decide on showing the difference. Hi @jakey09 , Shin Hye Sun's height is 171.8 cm. Kim Myung Soo's is 180 cm. @immorethant I read about his height but I don’t know why I feel he is shorter than that. I have seen him in couple shows ... For some reason, he looks short to me. Hm, lets see how it turns out. 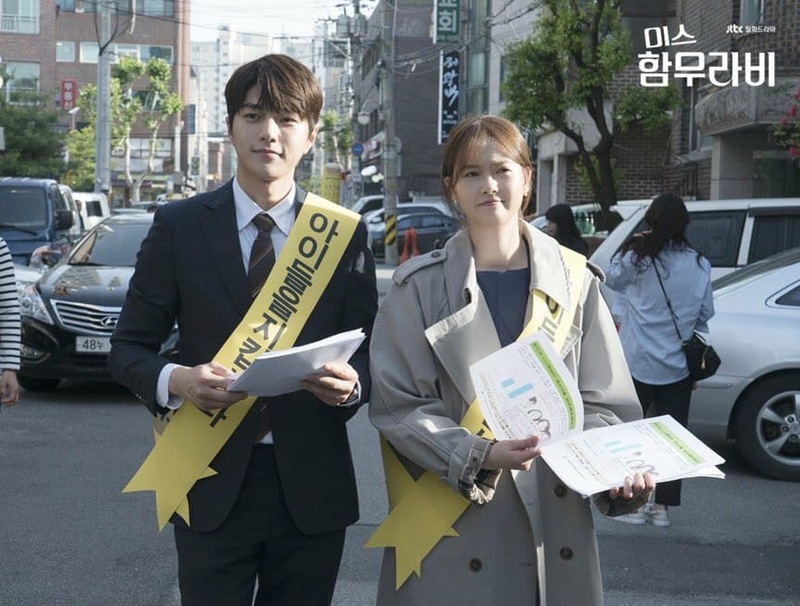 @jakey09 This is Yang Se Jong (182 cm) and Shin Hye Sun (171.8) wearing high heels. And L (180 cm) with Go Ara (170 cm) without high heels. I expected that SHS will wear high heels in 'One and Only Love' because she will play a role of rich girl. So...she may look almost as tall as L . But I'm ok , as long as the chemistry comes out good . 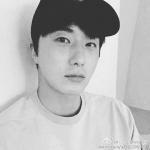 Glad to see from this IG's comments that lots people loves this drama so much. My best drama of 2018. I was wondering what exactly is SHS’s height? Hello and WELCOME, @jakey09 ! Yes I think if there's any questions about SHS, this here is the right place on the web for English speaking fans - @immorethant is a SHS savant. We're very proud of her freak-level knowledge of all things SHS, down to 2mm precision in all her answers. I knew you couldn't stay away for long @kokkuri33 with such gorgeous baseball pics of you know who. I liked that you linked her baseball backroom video clip on your post in @Lmangla's thread. The BB BTS, yes! Since we're doing all retro pics lately, here's a high fiving one from there. Yes @meechuttso I got the old pics from that page .... also glad that most comments said she's such a natural beauty and looks the same then and now. Those baseball pics are actually the best pics. There is no longer any need to take any additional pictures on this planet. Everyone should now focus on paintings and sculptures. The bullpen video clips are crucial evidence that the Doosan Bears coaching staff should be held culpable for the unfortunate result of the SHS First Pitch. In the SHS fan letter, I will examine the best course of action for clearing SHS' name in this, the only blemish of her career. Everyone should now focus on paintings and sculptures. Still in 'retro pics' mode. 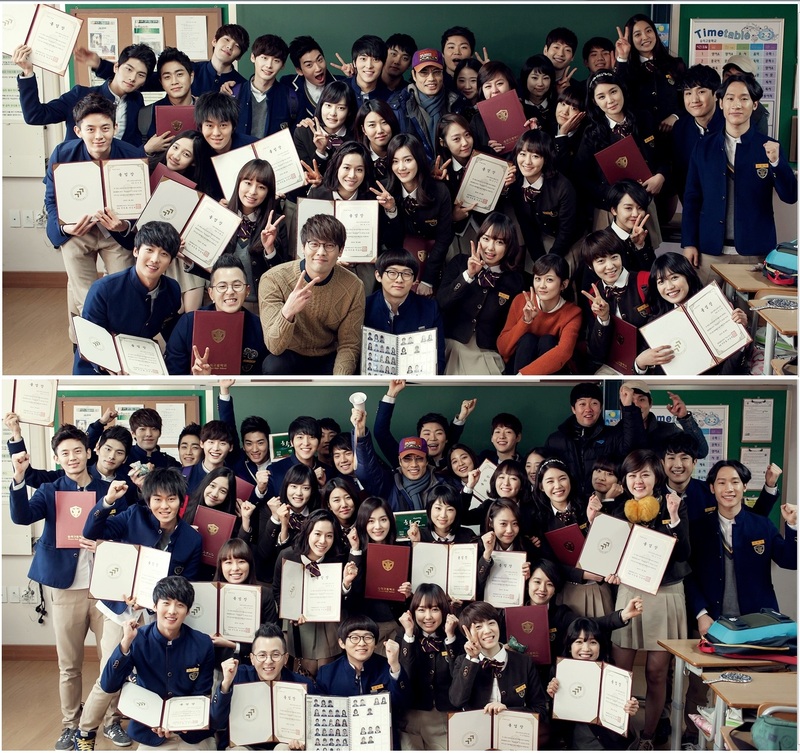 School 2013 BTS video , at the end of video they took graduation photos together. The one with short hair was the cutest girl of this class . I think its more of a Hye Sun thing and got to do with the fact that she got braces. She probably developed the habit. Do we have video for this? Hey thank you for welcoming. Yes, I can see that. lol Well, you can expect more fans coming this way ... I feel people are just starting to discover her. Hi @jakey09 , you can watch video from @meechuttso's post in hidden comment on page 83 (click link here) and more photos on page 84 (link here). Nothing much today, hope this will make you smile . She played a ballerina in OMG, now got a full-fletched lead role, playing a ballerina again. Played a prosecutor in Stranger but didn’t get to see her in court much or in action ... now she got a full-fletched role as attorney in Innocent. I think all those supporting roles and her tough past experiences are so precious for her. The good thing being supporting actress is that you have chances to act in variety of roles (that makes her a versatile actress now). And when you are in the set watching the main lead acting, from 3rd person point of view you can observe and learn how they act, see what's acting is ok and what's not ok, and imagine yourself what you will act if you play that role. (And later she may practice that role in her bathroom in front of mirror too). So it's a also good learning experience that makes her become a very detailed actress. This is a seriously astute and observant post! For a noob fan of SHS, you hit it on the nail, and articulated for us all here what she's about! I felt she was like Seo Jian a bit in real life, but never thought that she might have taken the Seori role becoz she's making up for lost time like her! Makes sense! That's totally her! Thank you noob J-minion - you're already initiated, @jakey09!!! And I just love that pic with Seori lying on her back on the ground at the park - where did u find that, @immorethant?? 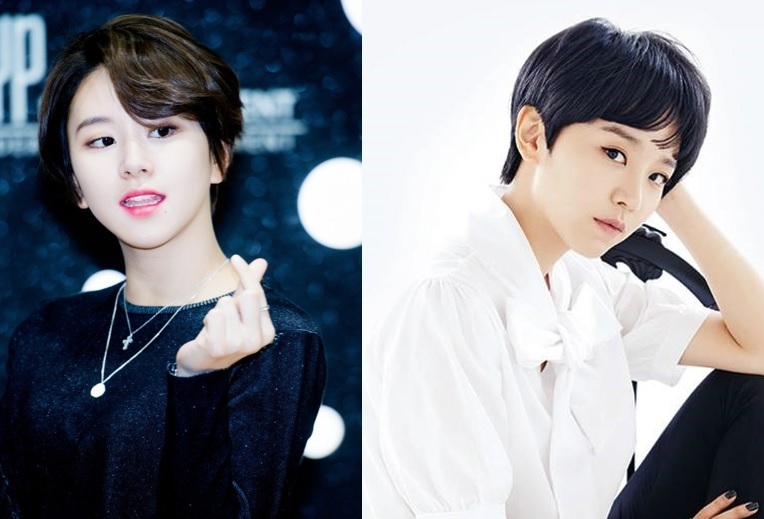 And did u make all the 3 idol compare side by side pics? Such pretty pics of all the gals. Thank you for all the warm happy glowing gems you guys make here! Such a treasure , lots and lots of nice pics of every episode of 30but17 and Hymn of Death. Yes, I did that, hope you enjoy it. (my 2nd rambling of the day, didn't expect but can't help myself after get involve in this discussion). As @jakey09 pointed out first, it's also in my mind for a while too, thinking about how '30but17' is personal drama for our SHS. It's not only a healing drama for audience but as her said when she received SBS drama award that this drama also healed her and Seo-Ri's role was a gift for her. I agree that it healed her from all sadness and traumas that she's been encountered in her past experiences and in past dramas. Below are examples of '30 but 17' healing magic. 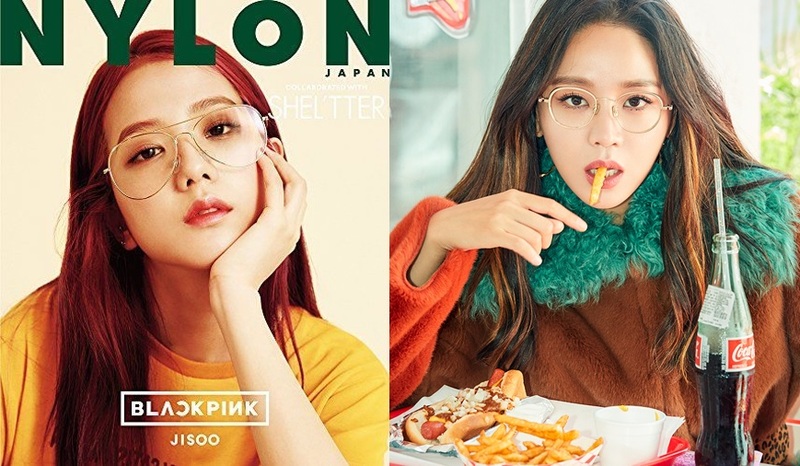 - In 'My Golden Life' , Ji-An got a lot of pressure from her real family. Her real mother even lied to her. She was slapped by her sister and also had to abandon her artistic dream to work for support her family. Then she moved to live with that Chaebol, they are all her family but everyone seems to be strangers. - In 'Hymn of Death', she took all the burden for her whole family, even sacrificed her life for their safety. Compared to 30but17, everyone in that house accepted and took care of Seo-Ri even they didn't know her. All were strangers but lived as a family. - You can compare this to her real life struggling to catch her dream, audition after audition, without agency, hoping to be chosen for a role, keep asking herself whether she's not good enough. Even though at last she got the lead role, she had to do crying marathon for 52 episodes. - In 'Secret Forest', because Eun-Soo was a junior prosecutor, no one respected her and trusted her. When Shi-Mok set up his team for the case, she wasn't asked to join. Finally she was invited to team dinner and it was the first time she felt valuable and accepted (we can see her first sweet smile in that scene). As she began to feel happy, then the next episode turned out to be her ending in this drama. She devoted her life to get this job to find out the truth and to get her revenge, but instead, she was used as a bait and a pawn in this game. - In 'My Golden Life', Seo Ji-An worked so hard on all the jobs she could find. She was fired from her job , was humiliated even by her boss's daughter, was cheated by her old school friend. She's so hopeless to find a good job because she didn't get a good grade. Although in the end she found the job that she loved and had chance to study abroad from her father's life insurance money (so sad). - In 'Hymn of Death' , ...another sad story , too much hurt for me to describe, too much pressure for a girl like Shim Deok. On the other hand, '30but17' gave encouragement and inspiration on how we should find the thing we love to do and follow that dream, no matter how long it will take or how long of 'intermission' period we have been in (made you think of someone's life, right? No surprise she acted so well in this scene, digging it out from her own experience). In this drama, there's no one to pressure her on her career, she got all supports from her 'family'. She got a nice guy who respect her decision. Even she was fired in this drama too, but later she got a nice job and a nice boss who supported her (and shipped her and gave her 'Carlyn' bag ), and didn't even cared about her educational degree . Look back and compare how her character got mistreated and hurt by some male characters. - In 'Oh My Ghost' , the guy who Eun-Hee married was the one who caused the accident, he killed other people just to cover the truth. Compared to '30but17', there's also an accident, but Woo-Jin (despite it's not his fault) felt guilty for life. Also, the truck driver who actually caused the accident paid Seo-Ri's hospital bills and came to her to apologize. - In 'Secret Forest' , Eun-Soo always showed respect and gratefulness to Shi-Mok (even said out that she had good feeling for him) but she was yelled and reprimanded although sometimes she just tried to help or to thank him. She was used and finally was killed because someone just neglected to receive her phone. Compared to '30 but 17', Seo-Ri might not have a mobile phone, but her guy always looked out and found her. Every small thing she did was also appreciated. In this scene in '30 but 17', Seo-Ri might just want to say on behalf of Eun-Soo in 'Secret Forest' that although Shi-Mok had physical problem expressing his emotion, at least he should be able to show his manner to the girl who just want to thank him. Saying it out loud in '30but17' probably healed her (and myself as audience). Yes ! Woo Seo-Ri, you rock !. In this drama, there are so many reasons that made Ji-An and Do-Kyung's love so difficult. The different of their families. His chaebol family didn't want her. And he himself (at the beginning) just wanted to win her heart but wasn't willing to leave everything for her and didn't understand (until almost the end) why she was hurt so much and how re-discovery love in her job was so important to her to recover from past trauma. He just rushed and pushed her just for his own feeling. (In MGL, she returned her necklace, in 30but17 she gave back her key ring. Different feel and meaning). 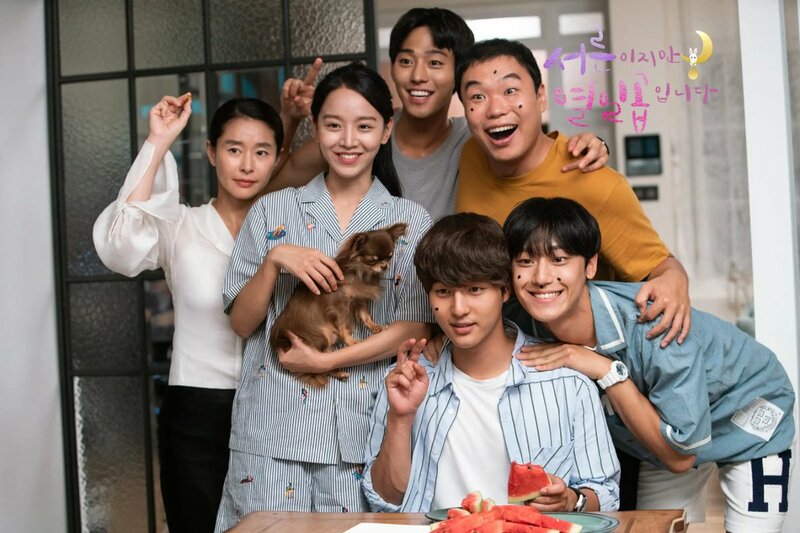 Compared with '30but17', Mr. Gong's family accepted Seo-Ri from the beginning despite she was a homeless , jobless and didn't graduate high school, (worse than Seo Ji-An). Even Woo-Jin's sister also approved her just seeing that her brother became a happier person because of this girl. Such an opened-mind and cute family. Mr. Gong always understood and respected her decision, he didn't even force her for marriage and willing to wait until she's ready and could reconcile with her past. How wouldn't our SHS be comfort and smile when she read the script of this sweet Woo-Jin's character ? And that's why I loved this drama so much after watching her past characters suffered a lot. It may be just a rom-com drama but its magic really healed me and SHS too. (credit and many thanks to the owner of this blog that I used a lot of pics in this post, because those are so good telling stories).